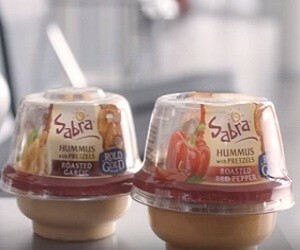 Sabra has released a new commercial to showcase Sabra Grab and Go, the “respectable snack choice when you’re on the run”. In the 15-second spot, titled “On the Run”, the voiceover says: “Who says eating on the run is eating like teenagers kicked over a vending machine? Is that who we are? No, no, it isn’t. Sabra Grab and Go. Hummus, Pretzels, Self-Respect. Sabra – Welcome to the unofficial meal”.